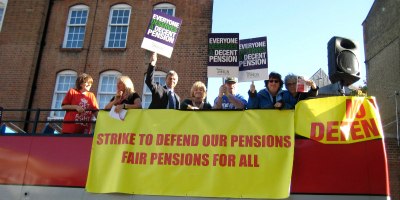 90% of Unison members who voted have voted to accept the Local Government Pension Scheme deal for service after 2014. Details of the new scheme can be seen in this article on the website which outlines the pros and the cons of the new arrangements. Importantly, the threatened 50% increase in contribution costs was withdrawn following the strike action of November 30, 2011. There will be a meeting in the Council Chamber at Camden Town Hall on Friday 6th July at 1pm to discuss the proposals for the Local Government Pension Scheme. If you can’t make it to that meeting, there will also be a second meeting in the Conference Room in the TDC at the Crowndale Centre on Wednesday 11th July at 12.30pm. 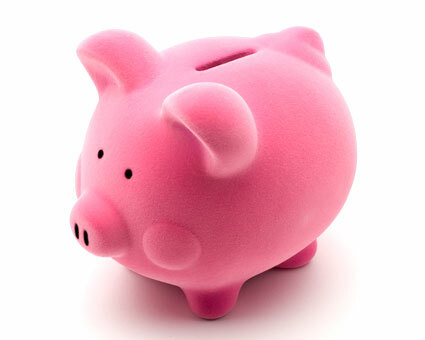 As members will be aware, the government and employers have been proposing to cut back on employees’ pensions. We in the trade unions have been fighting against this, and the industrial action on 30th November 2011 was able to get some concessions from the employers. UNISON is asking its members to vote YES in the ballot for industrial action to protect public sector pensions. 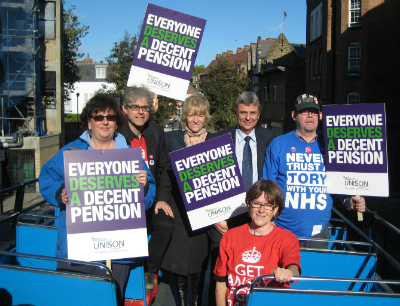 Dave Prentis, UNISON General Secretary, boarded Camden UNISON’s pension’s battle bus as it started its tour of the borough on Tuesday 18 October. Armed with a powerful PA system the battle bus visited the town hall complex, Bidborough House, Euston Road, UNISON headquarters, University College London Hospital, Euston Tower, Camden High Street, the Crowndale Centre, Gospel Oak, Cressy Road, the Royal Free Hospital, the Highgate Centre, Grays Inn Road and Westminster-Kingsway College. En route it stopped to allow Phoebe Watkins, Branch Chair (job share), to give solidarity greetings to a lively rally outside International House, where mainly Latino cleaners were demonstrating to demand the London living wage of £8.30 an hour.